New York is not only amazing but also expensive. If you aren’t rich, or Swiss you just have to accept that fact – especially the accommodation is not a bargain. 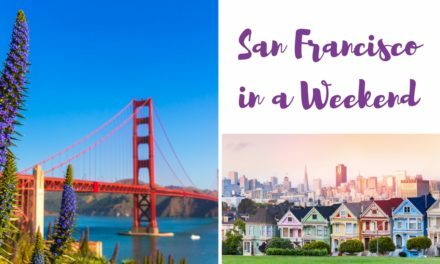 But even if you travel on a budget, you can still have the greatest time because there are a couple of things for (almost) free and it is easy to save money – so it is possible, to enjoy this amazing city with little money. 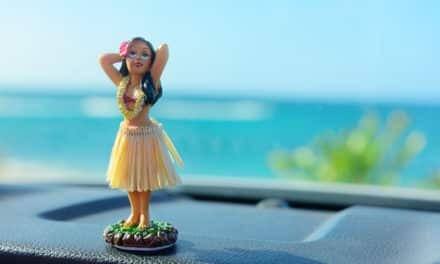 Great things to do when you are traveling on a budget (even if not) and so you are enjoying New York with little money. 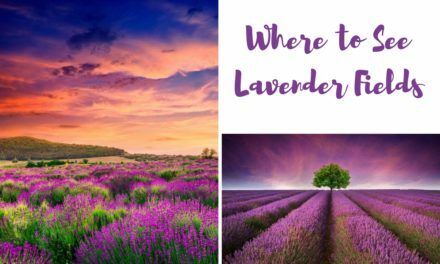 This post contains affiliate links, which means I earn a small commission if you book/buy a product via my link. There are no extra cost for you, actually, you can even save money with Airbnb using my link. 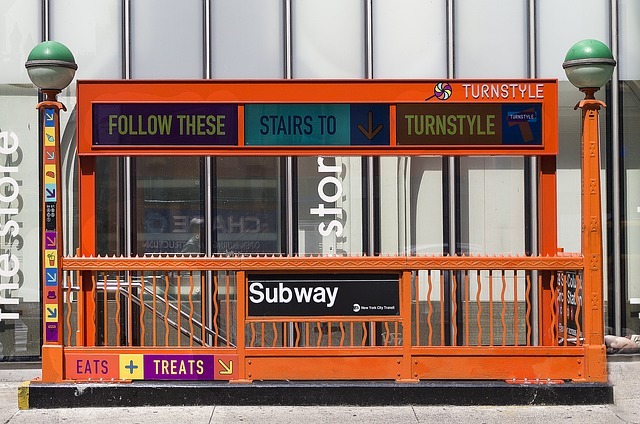 Taking the subway will save you a lot of money. New York has an excellent public transport system, there is no real need taking the cab (though they are very iconic and cool somehow). It also offers you the opportunity to enjoy great entertainment, because many talented artists show their skills in many metro stations, and thus you don’t have to be afraid of getting bored. I also think that walking is pretty easy and was my favorite way to explore the place (apparently, it is not the only way if you like to see all areas). 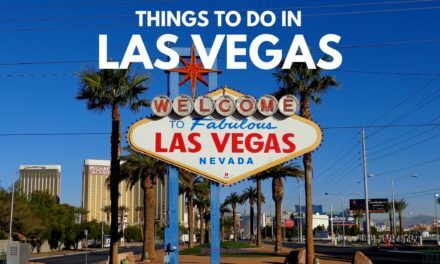 If you are not a broken traveler and would like to do a lot of activities you can also check out prices for NYC Hop-on and Hop-bus tickets which can save you a lot of money. Private accommodations are mostly cheaper than the hotels (even hostels are not cheap in NY). Especially if don’t travel alone. Have a look at Airbnb, which I used for 3 nights while I stayed at a hostel for another three nights (the hostel was terrible by the way :/ Get a $$$ discount for Airbnb the first time by using this Discount Airbnb Link. Just consider that a metro station is close to you accommodation so you don’t have to stay close to the Times Square etc. Do you prefer hotels? Though they are not cheap in New York City you might get a good deal if you do not stay in Manhattan or do a bit more research. 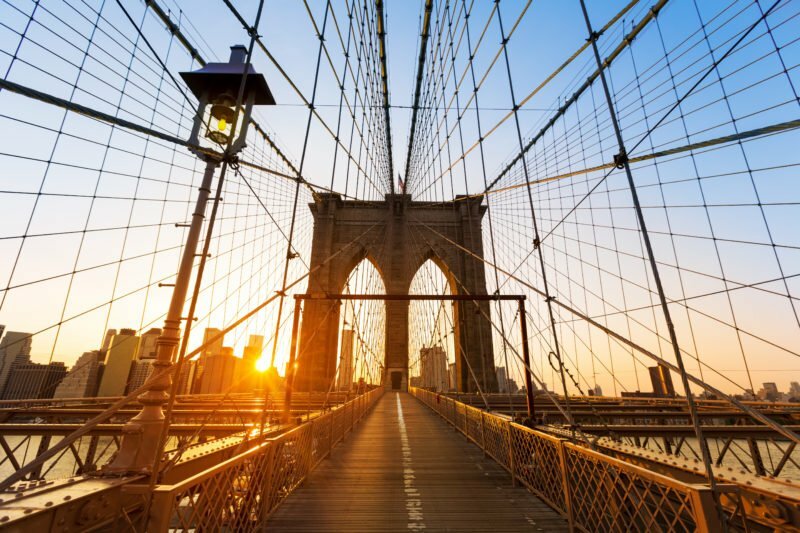 Find out more on cheap hotels in NY. I have never couchsurfed – and probably will never do, but if you do good research on your host you can save tons of money by couchsurfing. If you stay in a hostel or a private apartment and want to do your own cooking try to shop in Harlem, Brooklyn etc. It is much cheaper than in Manhattan. You can also drink the clean New York tap water, so it is not only cheaper but also saves the environment. 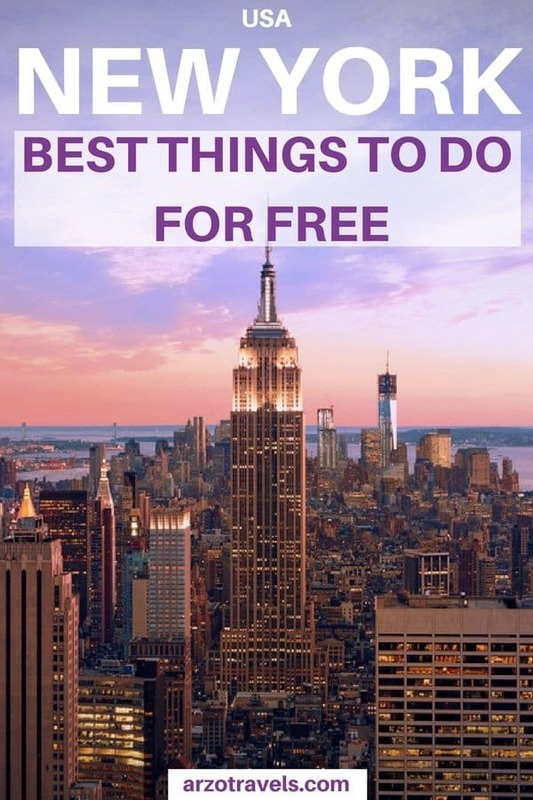 New York has a lot of activities that are free (and which you will find out about in this post, however, some activities just cost a bit but you can save money, by researching beforehand and which then help you saving on those tours and activities. 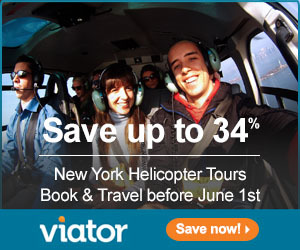 If you are looking for more tours that do not cost a fortune check out the best prices for tours and activities in New York City by clicking here and save up to 40%. 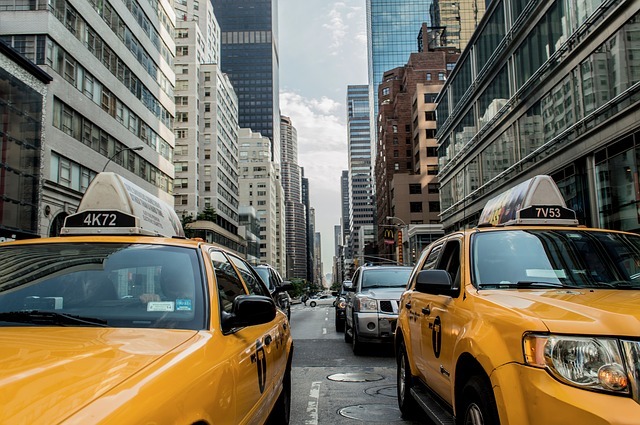 You might be able to save money in New York by using the official New York Pass – if you plan to visit some attractions that cost money it can help you to save a lot. Read more: Best places to eat cheap in NY. I have become a great fan of “Free Tours by Foot” and enjoyed every single tour with them. The guides were nice, and they really knew “their” New York City. Though it is called “free tours”, you can show your appreciation by paying a tip at the end of the tour. It is optional, but the guides do a great job. After all, it will still save you a lot of money compared to “professional” tours. There are plenty of free museums – if you are interested in visiting museums check them out – I am not, so I did not visit any :). 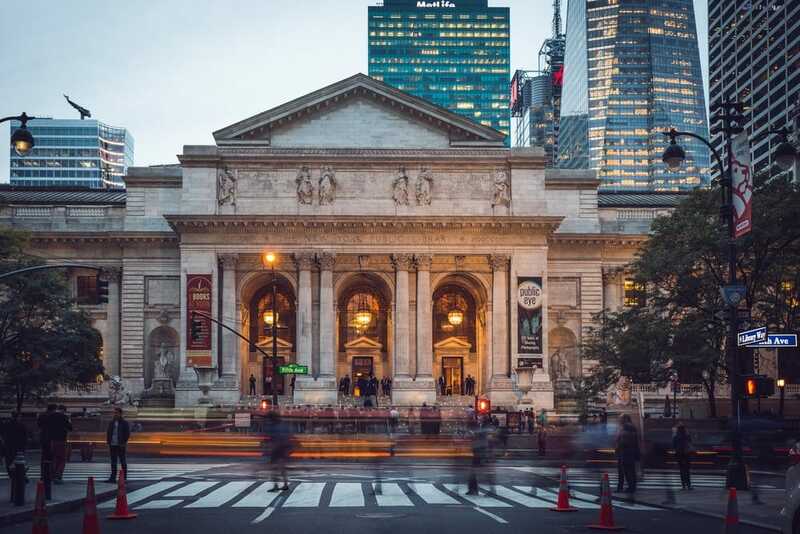 Free concerts and movies can be found almost everywhere in New York in summer (Bryant Park for instance), there is no real need to pay for concerts or other activities if you are on a budget – those free concerts, activities can be absolutely great. One of the things I enjoyed most was the free ferry ride to Staten Island. It also offers a short break from the heat and stagnant air (summer in New York is extremely hot and humid) – and it gave me the great chance to take nice pictures of the Statue of Liberty and of the Manhattan skyline. If you want to do other sightseeing cruises check the best prices here. 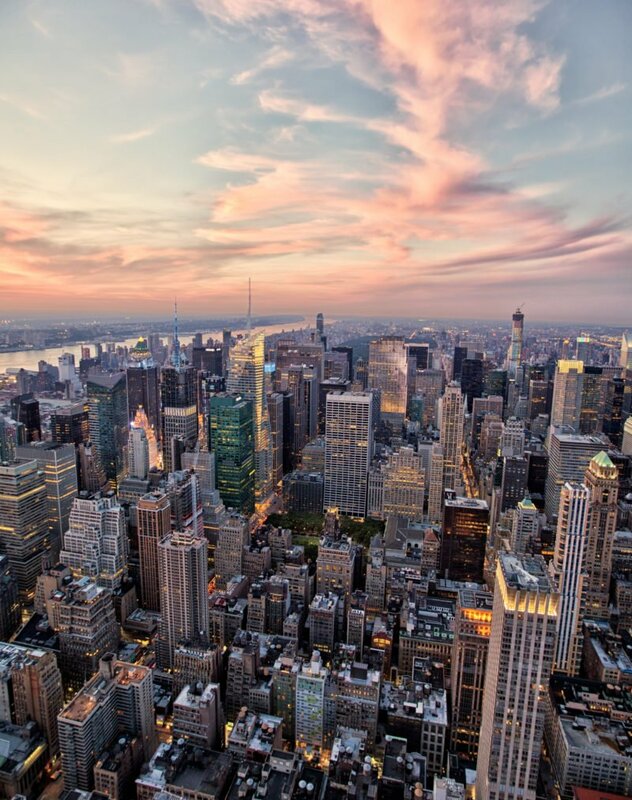 “230 Fifth Rooftop Bar” offers breathtaking views of New York. You can have a brunch, or get a drink at the bar and enjoy the view which can easily keep up with the view from the Empire State Building. Unfortunately, my pictures from there did not turn out great you can believe me that the view is absolutely GORGEOUS. Unfortunately, my night pictures from there did not turn out nice, and this is not the view – but believe me, the view from there is as great as this one. Who does not know the crazy Times Square. 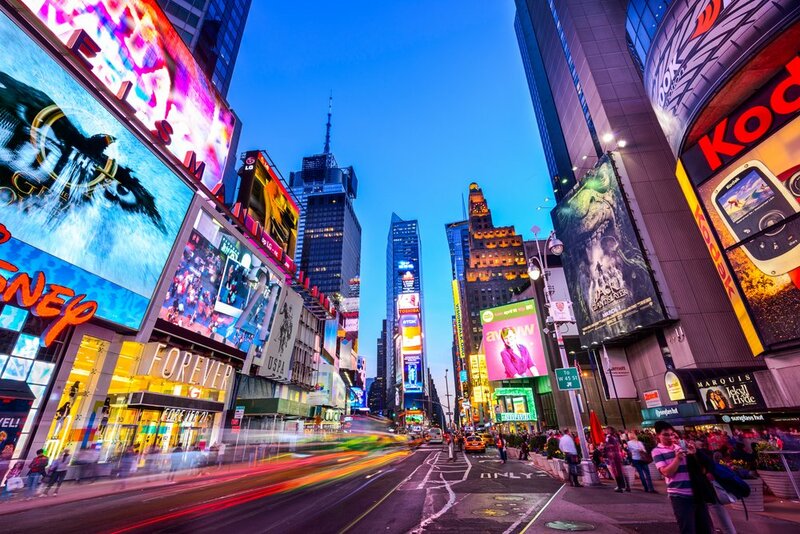 I once read the Times Square is the most famous place in the world- t is definitely one of the best places to visit in New York and luckily, spending time at the Times Square is totally free. But most of all, I enjoyed crossing Brooklyn Bridge. Especially at nights, the view is spectacular. My advice is to take a metro to Brooklyn and to take a lot of pictures with the Manhattan skyline in your back. You will be thrilled to have the Manhattan skyline in front of you while walking back to Manhattan. 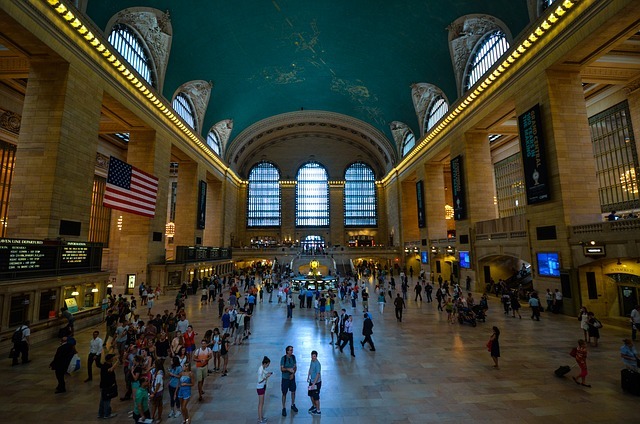 I also totally loved the Grand Central Terminal. Sitting in the Bryant Park (my most favorite Park in New York) and watch the people around, or listening to music and getting tanned is another great thing you can do for free. The public library which was great to walk around. I recommend taking your camera and just walk aimlessly through NY. You will find beautiful places, offsite the tourists spots. 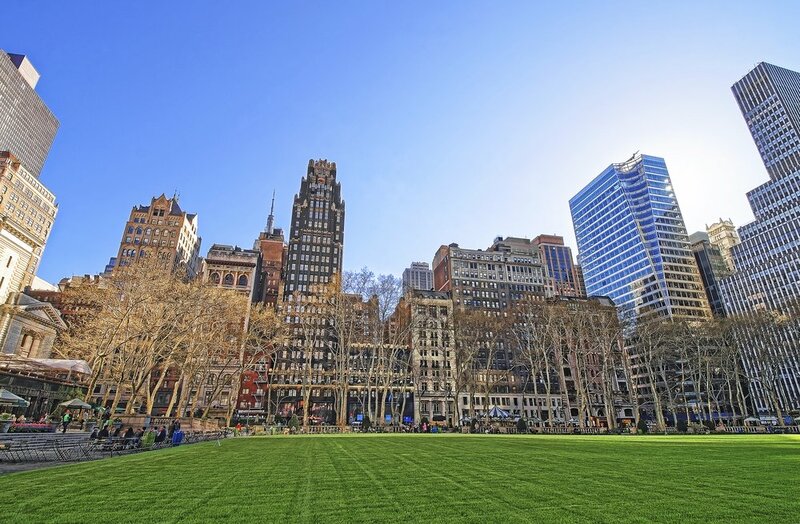 Smaller parks offer a nice chance to take a rest and discover even more interesting small details – New York never gets boring and every turn hold something interesting and special for you to discover. 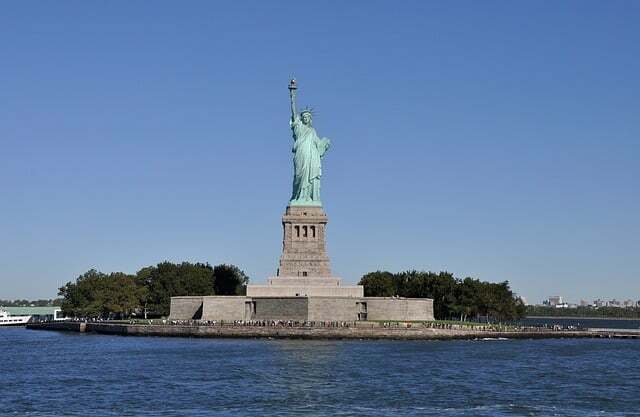 So I hope you are enjoying New York with little money and if you have some budget to spend you can check out the tours and save some money here. 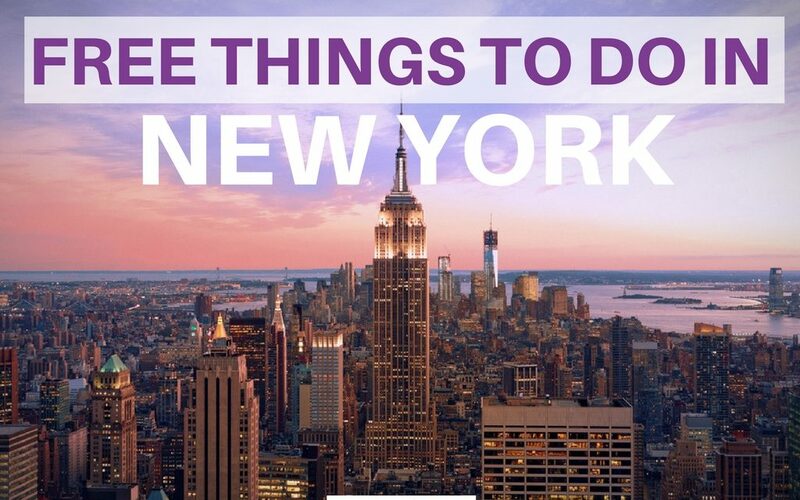 Are you thinking about spending time in NY around holidays? Get some tips for holidays in NYC by a local here.